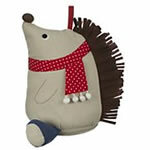 Some new fabric door stops have been added to the John Lewis collection and we are delighted to introduce the Hedgehog doorstop ready for the cold weather with its red scarf, and the John Lewis Hearts and Dots doorstops ideal to embellish your Christmas decoration. 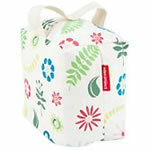 If you want to hold on to the summer a bit longer, what about the floral fabric pattern on the Eden door stop. 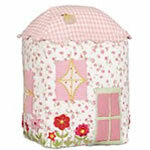 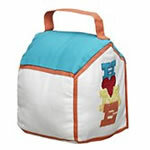 It is a lovely square doorstop to keep your door wide open and will bring freshness into the room. 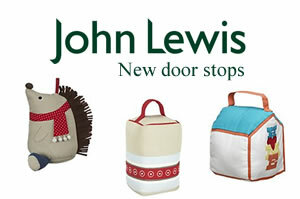 Some childrens doorstops are also new to the collection – the little home at John Lewis little blossom door stop and the John Lewis Home door stop.